Formative Assessment plays an important role in education for both students and teachers. It’s a powerful tool that can enhance learning and education when aligned with outcomes and instructional methods. Students clearly benefit from the feedback they receive on formal assessments. It tells them how they are doing and helps them improve their performance on future assessments. Research shows that immediate feedback increases student engagement and improves academic achievement. Assessments also provide a benefit to the teacher. The information derived from an assessment can help identify what the teacher taught well and what they need to work on. So what about Shurley English? Does the curriculum provide Formative Assessments? YES! 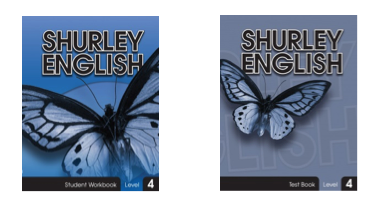 Shurley English provides two ancillary items that contain formative assessments: The Shurley English Student Workbook & the Shurley English Test Book. 2. Chapter Checkups can be used as a review or as a formative assessment. 3. Student Writing Rubrics are used by students as a roadmap for their writing. When their writing is graded, the Student Rubric will be used to discuss the strengths and weaknesses of the paper and to help determine the points for a grade. 2. Chapter Tests can be used as a review or as a formative assessment. 3. Posttest information shows what students have learned during the school year. A comparison of pretest and posttest scores will show the gains students have made with Shurley English. These scores can be used to compare first year scores with subsequent years to verify the tong-term success of the curriculum. These tools are used in conjunction with the Student Textbook to increase students’ learning. The teacher must follow the Student Objectives and Teacher Instructions closely as Classroom Practice pages are assigned. *Suggested Grading: Most Classroom Practices, Chapter Checkups, and Chapter Tests are divided into three sections: Grammar, Skills, and Editing, and the number of points possible for each section is provided in the Teacher’s Key. Most Shurley English Writing activities are completed on a separate sheet of paper and a Writing Rubric is used to assist with scoring the paper. · You might consider giving separate grades for each section. The advantage to giving separate grades for each section is that you can visually identify a student’s strength or weakness in each section at a glance.